If you’re anywhere near the mediterranean sea or are able to get those really ripe, soft, brown avocado, this is a hearty snack recipe to go for those warm summer nights when you don’t really want to cook up a meal. Get a fresh baguette and some black olives greek style to go with this spread and a Rosé cooled to the point in a river. 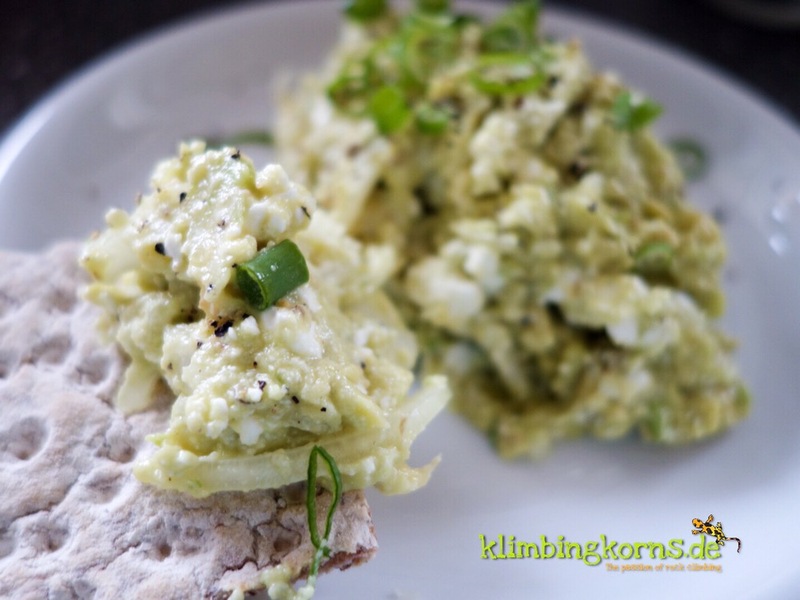 We made this every now and then on our outdoor trips and it was a great appetizer! Half the avocados, discard the seed. Scrap out the avocados and mash it till smooth. Mix everything together with the avocado and finally the feta. Add salt and pepper to taste.